Are You Ready To Ditch Your Old Servers And Move Into The Cloud? Unless you’re the IT guy or the CTO at your company, the word “server” is a pretty generic one for you. Somewhere at your company, there’s a roomful of whirring fans, blinking lights and the hum of processors, but unless the server is down or the server is slow, you’re probably not paying it too much mind. And that’s a real shame, because whether your company has 5 employees or 5,000, servers are being shown the door by cloud-hosting technology in the business environment. What was once thought of as technology designed only for mega-corporations has become affordable and scalable for any size firm. 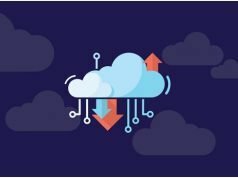 And while cloud technology has gained enormous acceptance and confidence over the past decade, thousands of businesses are completely unaware of its potential to save them money and significantly upgrade the ease and efficiency of their entire workflow. Sounds like you? It’s not surprising. Servers are what most of us have cut our teeth on as the rise of computers has become absolute in the business world. 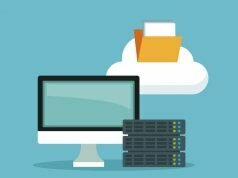 Should your company ditch its servers and move to the cloud? 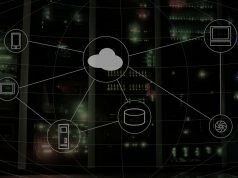 Let’s take a deeper look into the shortcomings of the server world and what life on the cloud would be like for your firm. Trying to fix the server problem ourselves, thus wasting our own time. Conscripting a co-worker to try and fix it, thus wasting their time and our time. Finally calling the IT guy, who could be anywhere from in the break room to at his office 20 miles away, thus wasting everyone’s time while waiting for him to arrive, diagnose the problem and solve it. Obviously, cloud environments are going to have downtime too; but they are not only down for a lot fewer hours, but they also have scores of trained professionals whose entire job it is to start getting your cloud environment back up and running from the second it goes down. Amazon Web Services had an uptime of 99.9974% in 2014. That’s not just during a traditional work day, but counting every minute of every day of the year. That’s the equivalent of having about 5 hours and 28 minutes of downtime for the entire year. A bit better than those lost 545-man hours on a server-driven system. If you’re serious about your servers, you can hire a Managed Service Provider (MSP) to be their official guardian for about $200 per month depending on the size of your company. The MSP will perform routine maintenance on your server – trashing junk files that are eating up data; ensuring no viruses are getting loose and generally making sure the server is running as well as possible. They’re sort of like the place where you go to get your car’s oil checked. They’re going to rotate the tires and check the spark plugs and vacuum out your kid’s fruit snack wrappers every time you drive in. The problem with the fixed cost of an MSP is that the moment anything goes wrong with the server, the fixed cost goes out the window. Your MSP will start charging you either by the hour or by the job on top of their monthly maintenance fee. When you move your business infrastructure to the cloud, you have a fixed cost as well. But when something goes wrong, you aren’t billed a single cent more. In fact, the only way you are charged extra is if you request extra hosting space as your business grows. And if you use less space for any reason, your bill goes down accordingly. In August of 2017, Hurricane Harvey hit the Texas coastline, dropping more than 40 inches of rain over the city of Houston and displacing more than 30,000 people from their homes. The estimate for total economic loss stands between $70 billion and $200 billion. Many businesses not only flooded, but were also completely destroyed by the surge of water. When these types of disasters hit, the security of knowing that all of your company’s vital data and archives cannot be touched by Mother Nature is not only an enormous sense of relief, but also a way to avoid catastrophic financial loss. 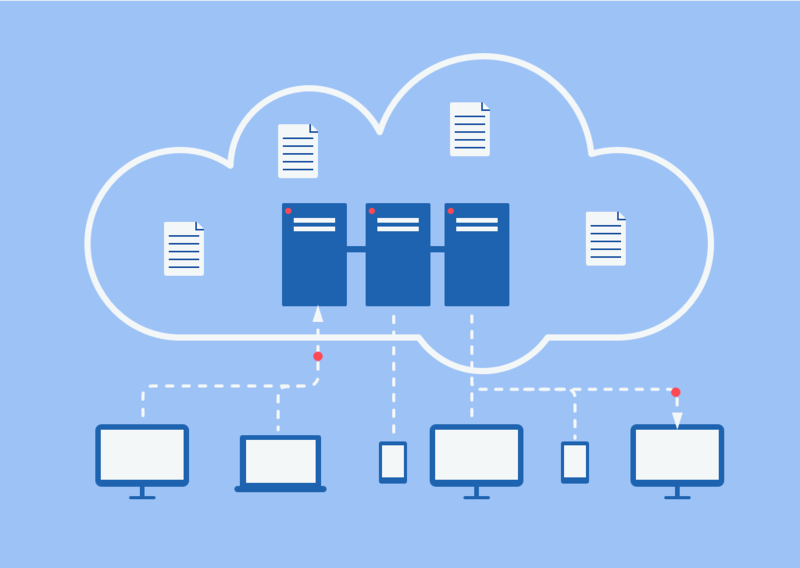 Your infrastructure, databases, software and everything else are all stored in a multi-layered cloud environment, which is accessible remotely from anywhere you can get Internet access. Keeping your website open and humming for customers can be the difference of millions of dollars of revenue during a time of crisis. I can remember vividly the feeling of excitement I had at an early job in the 1990s when the corporate office announced we were getting an update on our Adobe product suite. When I got my copy, it took about an hour to install and I soon learned that the only way I could use Photoshop was if I shut down every single other process because our desktops were woefully behind current software requirements. 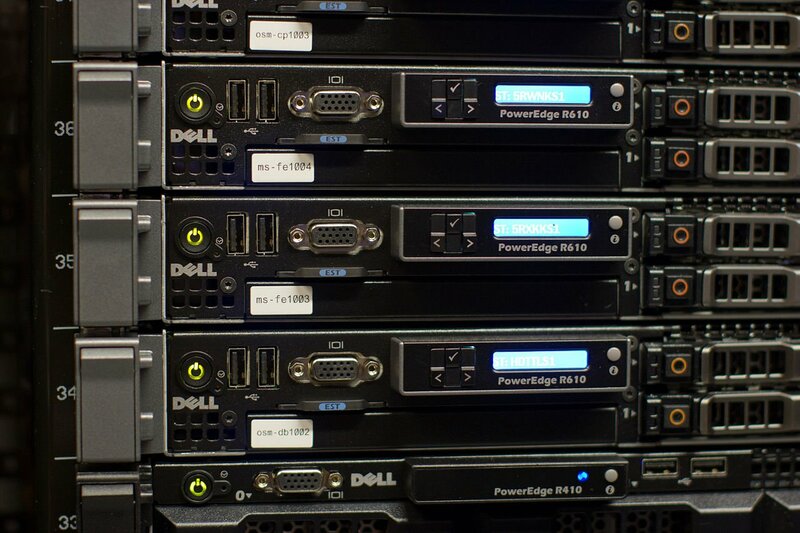 When you’re using traditional servers, upgrading to a new software version can be a time-consuming process and one that can cost your business hundreds or thousands of dollars. 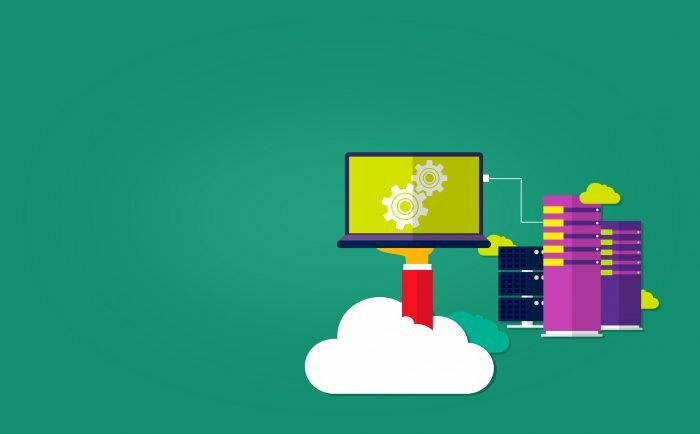 When you initiate the software as a service (SaaS) capabilities of the cloud environment, you aren’t using up any more processing power or memory from your server, but merely tapping into the latest version online and upgrading to it in seconds. If you’re a startup, this is really a huge deal because those big early costs are minimized. We’re talking more resources at faster speeds, not to mention the increased speed of your own website when hosted on a cloud server. The same is true when it’s time for your business to grow. Paying the price of upgrading your CPU’s RAM or disk space is costly compared to carving out a bigger share of the cloud to put all your stuff in. Even in the realm of innovators, fear can be a tough pill to swallow. There is a certain sense of stepping out on the high wire without a net when we trade in the physical representation of our servers for the more ethereal existence in the cloud. It’s quite like what entrepreneurs felt a generation ago when they were told they could put their pens and paper aside and keep all their documents and spreadsheets on a computer. Make a move to the cloud and start reaping the benefits of the technology to help increase efficiency and productivity.